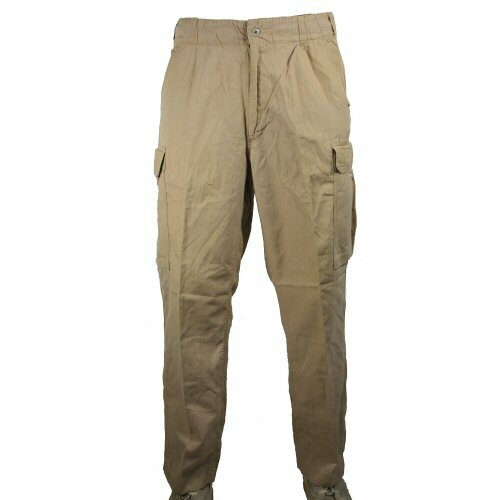 From the German Navy (Bundesmarine) fatigue trousers in tropical tan. 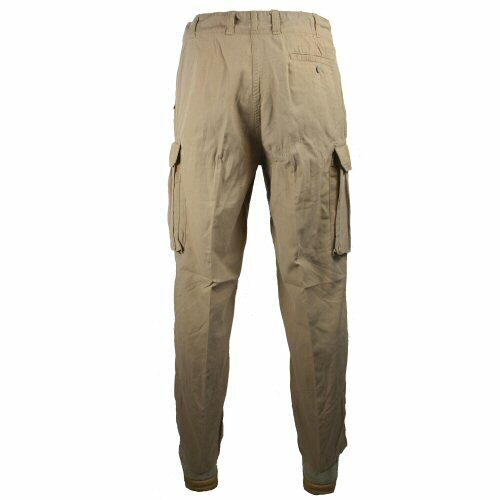 Trousers are made from blanded synethtic fabric comprising flame retardant Viscose, Aramid and antistatic fibre; please note PPE protection level not guaranteed in used clothing. Permethrin insect repellent treatment applied when new; protection level not guaranteed in used clothing. 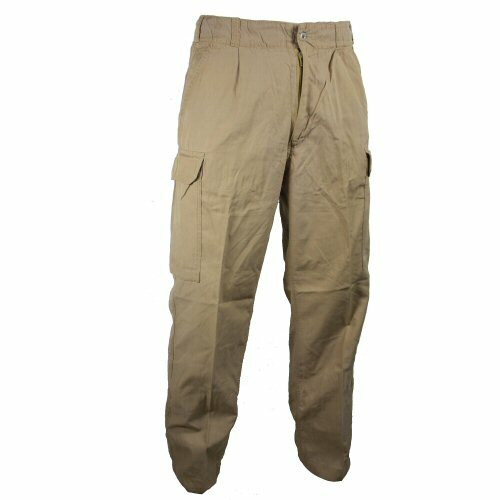 Trousers have five pockets: two large leg cargo pockets with velcro close lids, two full sized hip pockets and one seat pocket which closes with button. Eight belt loops keep the trousers securely around the waist. Button waist with zip fly. 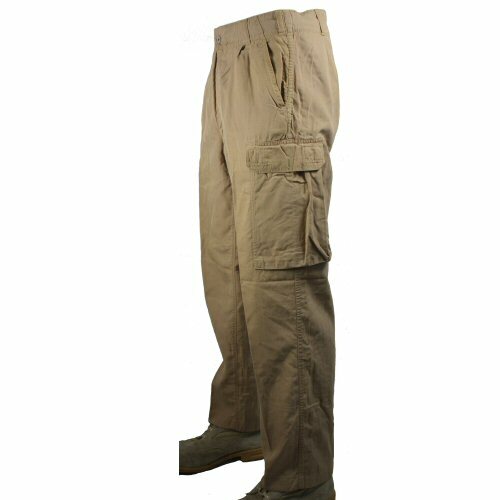 The trousers have a single front pleat and are similar in cut to the German army issued combat trousers. May have small repairs or small stains and marks of use. Machine washable, but in order to maintain protection levels, special washing detergents must be used.. Comfortable, easy fit, ideal for walking, outdoor, casual and work wear. Quick drying and lightweight. Ankles have either ties or elastic. Sizes are 31in waist, 33in waist, 35in waist, 37in waist, 41in waist. Sizes 31in waist, 33in waist, 35in waist and 37in waist. Available options are: 31 , 33 , 35 , 37 , 39 , 41 . Right side of trousers, showing button waist and zip fly.